I got to know this plant as daghestanica but to some people it is canescens or canescens var. daghestanica. 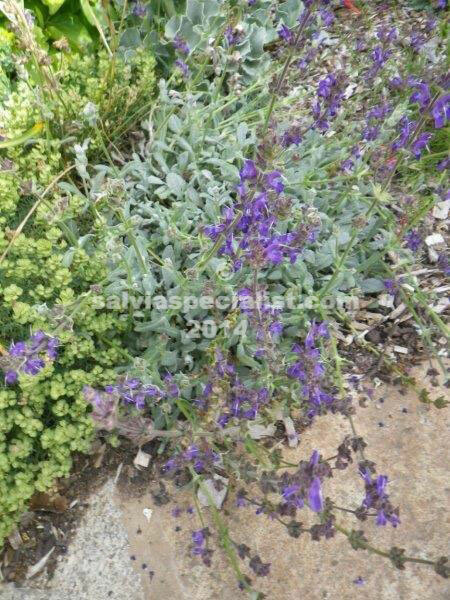 It is an evergreen grey small plant hardy to cold and drought. The foliage is pretty much flat to the ground from which arise 20cm spikes of purple flowers in summer. I wouldn’t think it would like warmer moist areas.